In the hearts of some members of Exchange Avenue Baptist Church, God planted a vision for another body of believers in South Oklahoma City. In May of 1983, our church began as a satellite of Exchange Avenue, meeting in the Greenbriar YMCA. Exchange Avenue's pastor, Forrest Lowery conducted our services with Howard Geis directing the music. We became a mission in March of 1984 and began a search for a permanent site and a pastor. Robert Haskins accepted the call as our interim pastor and Jim Johnson, a layman, began leading the music. A search for a full‑time pastor resulted in Bill Zodrow coming as the first full‑time pastor of Briarwood mission. Soon after, Tom Duckett came on staff to direct the music program and our youth. After meeting in the YMCA, a day care center, and an empty Lutheran church, the Lord gave us the current property at 1100 S.W. 104th Street. This 10 acres contained a farm house and several stock pens. In July of 1984, Briarwood Baptist Church became a church with the charter services being held July 8, 1984 in a large tent on the current property. This tent was used for our first Vacation Bible School the following week with 100 kids in attendance. Construction on the original auditorium began in 1985 and was completed with the first services held on May 18, 1986. The Lord richly blessed and the church grew to an active membership of over 300. 1988 was a difficult year for Briarwood. Through a turbulent time, God moved both of our staff members and the majority of our membership. However, the Lord never took away our vision for a church in this location. During the last quarter of 1988, Ernie Perkins was instrumental in keeping our pulpit full and Dale Marshall, a layman, began leading the music. The Lord sustained us and in February of 1989 Dr. Sam Cathey was called as pastor. During the rest of 1989, the church grew to the point that both portable buildings and a remote annex were necessary to meet the needs of Sunday School growth. 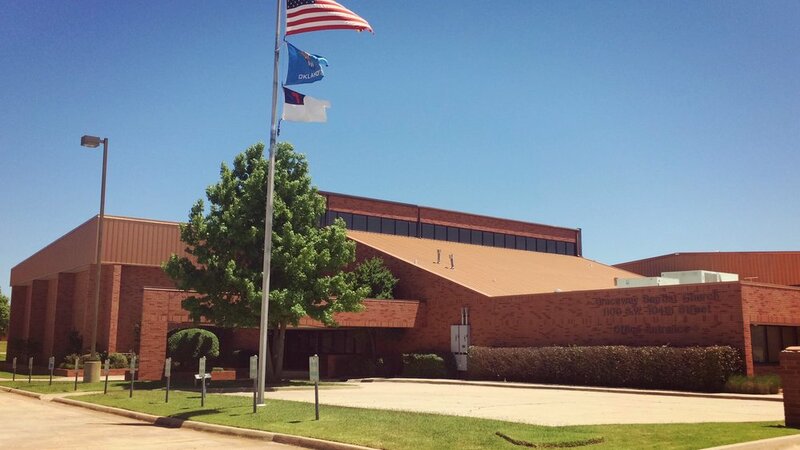 In June of 1992, the name of the church was changed to Graceway Baptist Church. To the meet the needs of a growing church family, construction of a new auditorium began in early 1993 with the first services held in our present auditorium on September 5, 1993. In May of 1996, Dr. Sam Cathey resigned to go back onto full‑time evangelism and Greg Keenen was called as our pastor. In April of 1997, we began construction on a new education and family life center. This facility, which was occupied in May of 1998, allowed for our entire church family to have all activities at one location for the first time in the history of our church. Throughout the history of Briarwood and Graceway Baptist Church, there has been a consistent presence of giving. First of all, this has involved giving financially to meet the needs of others and the need to grow our facilities. Also, this has involved many serving in key leadership positions as laymen or on a part‑time basis. Finally, and most importantly, this has involved a church family giving of their time and energy to make an investment in the lives of others to further the Kingdom of God and to give Glory and Honor to the Lord, Jesus Christ. Our prayer is that God will continue to direct our path and that He will bless our future for His Kingdom’s sake.